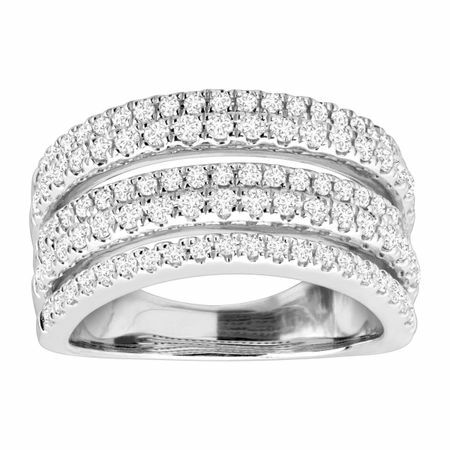 This multi-band style ring is perfect for gifting to that special someone on your anniversary. Crafted in 10K white gold, IGI Certified round-cut diamonds, totaling 1 ct, cover the face in elegant rows. Ring face measures 7/16 inches in width.